When you move into a Capital Living house you can also benefit from a range of different partners who have joined our Capital Living Community. Travel for less with Uber and Hailo, enjoy nights out at Mare Moto and Broadway House and join one of the gyms we have partnered with. 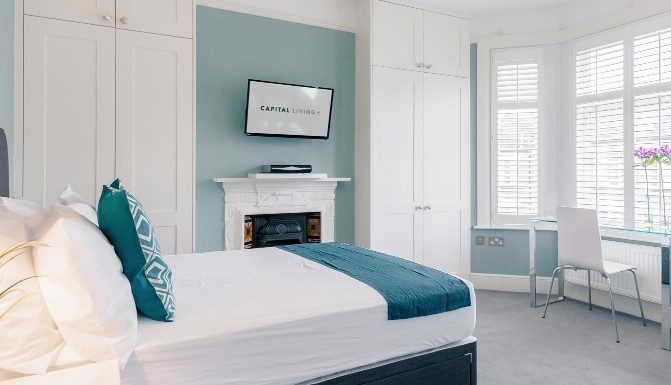 Live a simple + social + smart life in London with all of the fantastic discounts your Capital Living key ring gives you access to. Laundrapp is revolutionising dry cleaning as you know it. It genuinely is a remote control for your washing basket. We have partnered up with them offering you 25% off your first Laundrapp order with the code CAPITAL and then 10% off your second purchase with the code LIVING. You order, they collect, they clean then they deliver. Simple. Onpoint have a proven track record of helping our members that are buying their own place get a great mortgage deal! They have access to much more than your bank so give them a call and get a free consultation and mortgage estimate if you mention "Capital Living". Crossfit Perpetua was recently voted the Best Crossfit in London; Perpetua has the best facilities and is located by Battersea Park. 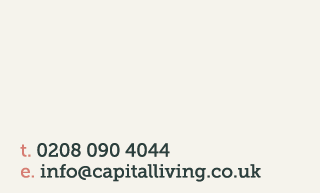 Capital Living members can get 10% off a fundamentals course, contact Ozzie and mention 'Capital Living'. The Schoolhouse in Clapham Junction is the perfect venue for brunch or dinner. Not only is the food really fantastic but they also offer a bottomless option not matter what time of day you're eating. 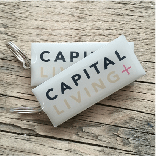 Capital Living members can also receive 20% off with their Capital Living key rings! Ben's Canteen in Clapham Junction, Earlsfield and soon to be Battersea Powerstation, is a must for your London to do list. Specialising in brunch, wine and burgers Ben's really have hit the nail on the head. The food is great, it's a fun vibe and with your Capital Living keyring you can get yourself 20% off! Uber is the smart way to travel. Perfect for getting around London, the Uber app connects you to your driver in minutes and is linked to your bank account so you never need to worry about carrying cash. Use the Capital Living code: CAPITALLIVING15 for £15 off your first ride. Knomo are a London-based brand, ranging from cleverly-organised bags for men & women, smaller accessories to protect your smartphone or tablet, to battery-powered products that ensure you are always connected when out and about. With the code CAPITAL15 you can get a 15% discount from their website. Broadway House, often featured in Made in Chelsea, is one of The places to be seen. A top private members club in the heart of Fulham. Be sure to check out their stunning roof terraces. With Capital Living you can make the most of a three month free membership and a £200 saving on an annual membership. Reach Fitness based off Clapham High Street is a gym like no other. You'll be sure to see results with their leading team of trainers providing group fitness or personal training. Capital Living members receive a 10% discount on membership - just enter the code CAPITAL when getting a free trial session or buying a membership. Space Ways storage provides flexible London storage for those things you don't have room for. They can pick up and drop off your items to make it even more simple for you. We have secured a £30 discount on your first month's storage when you use the code CAPITAL01. Original Dating is London's leading dating company. They have welcomed over 120,000 clients and over 4,000 events. They pride themselves on providing innovative, fun and memorable events for single professionals in some of London's most celebrated venues. With the discount code CAPITALLIVING you will receive 25% off their events. WeJaunt is a social travel marketplace for young professionals. They match up sociable people looking to make the most of their free time with weekends away. All of their Jaunts are pre-planned and ready to go, so there's no administrative hassle for you. With code CAPITALJAUNT you’ll get £25 off your first Jaunt! Elite personalised fitness and lifestyle studio in the heart of Parsons Green. Offering one to ones, semi-private training and group training along with nutritional advice. You will be sure to see results in no time! Let them know you're a Capital Living member to receive a 10% discount and free trial. With great tunes, crackin' drinks and friendly service, it's the best place to unwind after a hard day at work, or catch up with friends. In Earlsfield it also offers a great happy hour! Get 10% off drinks anytime with your Capital Living key ring. London is famous for it's black cabs, now you get a black cab wherever you are whenever you want with the Hailo app. Get £10 off first ride by using the code JIMMY10A. PhD Nutrition deliver innovative and inspirational sports nutrition products that not only taste great, but deliver serious results. Whether you are a world class athlete, or just beginning the gym, PhD believe that your requirements are just as important as each others. Capital Living members get 20% off with discount code CAPITAL20 - to be applied at check out (excludes bundles). 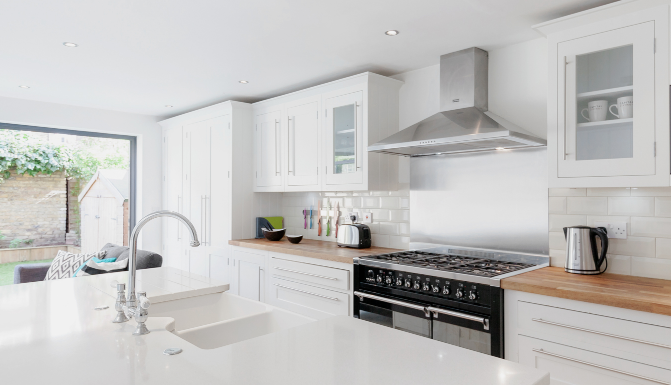 KG Bespoke believe that high quality shouldn't come at a high price. They tailor beautiful, affordable suits. Bespoke suits start from £375 and shirts from £75. As a Capital Living member they're offering 15% off your first order when mentioning Capital Living. They'll also give you a free suit for every five friends you have who order suits. G&T Weekends organise epic weekends away with a difference. A fantastic way to meet some new people and check out a new country. With trips this year to Spain, Greece, Montenegro and Morocco coming up this year they're definitely worth getting together with your housemates for. G&T Weekends also organise parties in some of London's top venues which CL members can get 10% discount at. Definitely worth checking out! The Driver in Kings Cross is a gorgeous gastro pub. Offering an impressive menu without the price tag The Driver is a good one for after work meet ups in the city. Members receive 20% off their bill with their Capital Living key ring! Chicago Ribshack is a CL team favourite for lunch due to their great value and delicious food. The menu ranges from breakfast, to ribs to cocktails. It is definitely not one to missed! The food is fab, the staff are lovely and with your Capital Living keyring you can get yourself 10% off your bill! 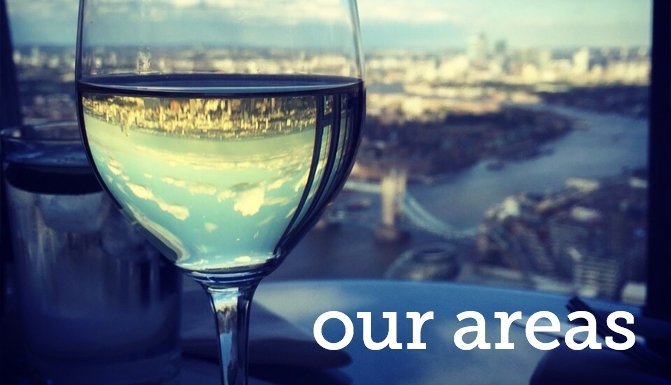 We are always adding new partners so check back to see what else you can benefit from to help you enjoy living in London even more. If you are interested in becoming a Capital Living Partner email us now.